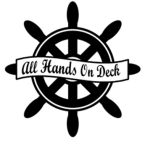 May 12-13, 2016, The Conference Center at the Maritime Institute, Linthicum Heights: All Hands On Deck. Thank you for attending! It was Awesome!! View Photos from the Conference. Sessions at a Glance: Just released – a schedule of our Workshops. A306 GED Overview Navigating the Obstacles to GED® Testing in Maryland Who is My Personality Hero? We invite you to participate at our 2016 Conference! Please read the informational memo for details. The MAACCE Conference is a prime opportunity for you to showcase your products and services to a receptive audience of adult educators. The fee for each exhibit table is $280. Additional representative is $50 per day. The deadline for reservations and payment is April 15, 2016. Advertising space is available in the conference booklet. All advertisements will be printed in black and white. Rates are $125 for a full page (5’’ x 8”), $75 for a half page (5” x 4”) and $50 for a quarter page (2 ½” x 4”). Space on the inside front and back covers is also available at $160. Please consider advertising even if you are unable to join us in person as an exhibitor! We also have sponsorship opportunities to make conference participants better aware of your services: Gold Level, Silver Level, Bronze Level, and Copper Level. Please see informational memo for more details. Join us for two exciting days of learning at the Maritime Institute. MAACCE Conference Registration is now open. Download the Registration Form in Word or PDF. Feel free to type in the registration information on either form. One form per registration. If you are paying via Paypal, visit the Conference Payment Options 2016 and fill out the Conference Google Form for registration. Submit payment.